Have you ever known anyone who “suddenly” quit their jobs and the careers that they spent years developing? Did they leap into the unknown even though they didn’t really know what they wanted to do next? Many people change jobs due to downsizing, the completion of advanced degrees, or changes in one’s personal life. It is a natural next step and is cause for celebration. However, this does not address the millions of workers who “suddenly” quit even if they haven’t planned a logical next step. Are American workers expecting “too much” from their work experiences? Are companies providing insufficient resources and recognition to help employees meet an ever-increasing list of job demands? Is the stress of working in the modern workplace reaching such a critical level that workers must choose between a job’s financial security and their own emotional and physical health? These “sudden” career changes are often met with shock, fear, and even anger – by both the individual as well as his or her colleagues, peers, family, and friends. But the “suddenness” of the change is actually the result of a series of events that built up to the proverbial breaking point. 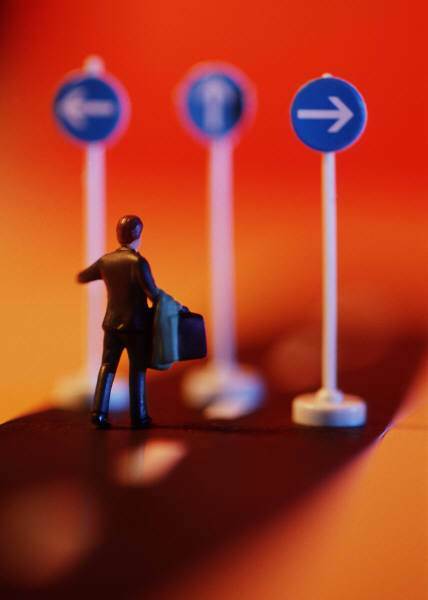 According to an article in the Wall Street Journal, the average U.S. worker will have 7 careers in his or her lifetime. Not jobs – but careers. This means that most workers will only be with an employer for approximately 4 to 5 years. Interestingly, Kotter & Schlessinger (1979) found that companies undergo change initiatives at the same rate. In my research on burnout during organizational change, over 92% of my participants changed jobs as a result of the burnout that they experienced during their employer’s change initiative. 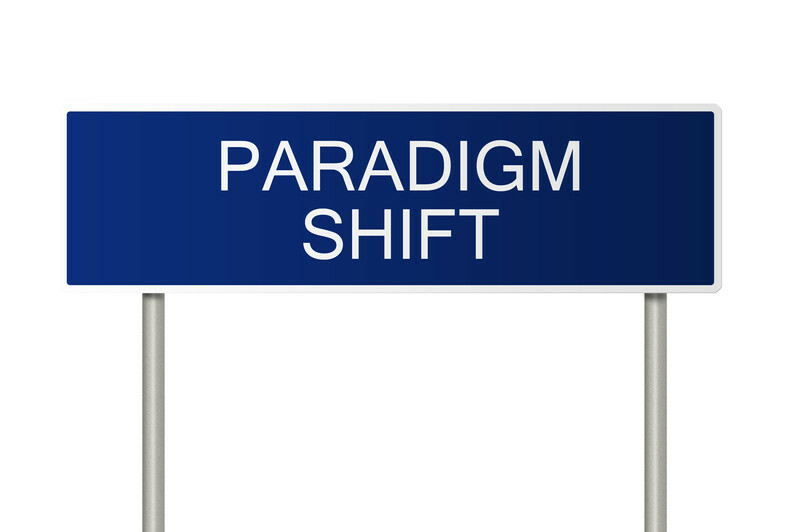 50% changed industries or careers in an attempt to avoid additional burnout. Even as employers attempt to better “engage” their workers, they continue to downsize, rightsize, outsource, and offshore. Considering that 70% of change initiatives fail, is it any wonder that employees choose to “jump ship” rather than continue to experience the emotional, psychological, and physical effects of stress and burnout? Recognize that change is the new status quo. Don’t expect that either your business or job will remain the same. Rather than viewing change as something to avoid, re-frame change as something that is an invigorating opportunity to learn something new. This simple shift will help increase your confidence and feelings of control in response to both small and large changes. Plan for change. One of the biggest challenges to burned out workers who desperately want to leave their jobs is that they simply don’t have time to launch a job search. Try spending 10 minutes a day thinking about what you want in terms of job responsibilities and work environment. Not only will you feel that you have greater control over your professional life, but your energy will increase as you make you a priority in your daily activities. If you are planning an organizational change, don’t forget to include the “soft metrics” or the human side of your change initiative when calculating the costs, benefits, and probability of success. 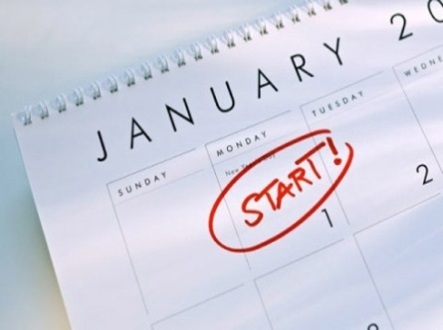 When January 1 rolls around, many people embark on achieving well intentioned resolutions. As we near the end of the first month of 2015, how well are you doing in these worthwhile goals? Or, based on past setbacks from prior resolutions, did you just scrap the whole idea of resolutions in the first place? In 2014, I watched an interview in which the guest talked about using a word or phrase to guide your actions through the new year. Instead of setting up resolutions that can easily go off track, this word or phrase would keep you focused on the overall effect of the goals that you want to achieve. Many things happened in 2014, including the terminal illness of my father and administration of his estate. While I didn’t eschew goals in 2014, I kept focusing on the act of moving “forward.” At the end of the year, I looked back on what could only be described as a very difficult 12 months – and, yes, I had moved forward in ways that I had not anticipated. As a result, I felt energized that I had achieved my over-arching goal. The subgoals that I had created (I don’t advocate giving up goals and projects totally) may not have been achieved, but I could see that in each category I had indeed moved forward. The act of creating a personal mantra is very similar to creating a compelling vision. It must speak to your heart and not just your head. It needs to be noble and worthwhile. It also needs to have “wiggle room” – not so specific that there is a win/fail or zero/sum result, but directional so that you can adjust and adapt as you navigate toward it. You can use an ideal, value, attitude, state of mind or body, or even an adverb that describes how you will act. But whatever word or short phrase that you choose, it needs to indicate the need for motion or activity in order to attain it. But, perhaps most importantly, it must speak to you. Brainstorm whatever words come into your head; write them down and observe how you feel when you say them. The right word or phrase will create a visceral reaction inside you. You’ll know it when you say it – and it doesn’t matter if no one else “gets it.” This mantra is uniquely yours and provides a direction (rather than a specific destination) to constantly reference as you move through each day. 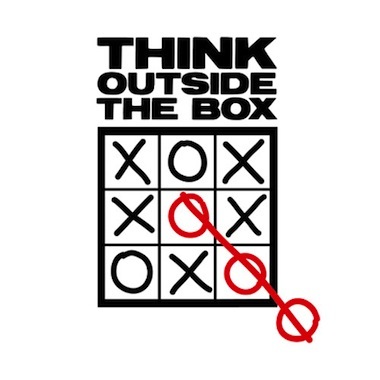 Are We Too Afraid to Think Outside the Box? Are we destroying the environment that created visionaries like Steve Jobs? In an era of constant and often unforeseeable change, why do businesses predominantly focus on linear, quantitatively-driven logic to solve problems – even if these old ideas are what contributed to the problems in the first place? In this age of “big data,” have the numbers become the goal – the “box” in which creativity and innovation are rigidly confined? Where is the creativity – that elusive, non-quantifiable, intangible quality – that catapulted the U.S. into the role of a world leader? Why are we so afraid to think outside the box? No one would argue that the world has become much more complicated as conflicting demands compete for our time. Nothing is certain and the risk for “failure” is always looming. Circumstances change in an instant, destroying well-crafted plans in their wake. Publicly traded corporations live and die by their quarterly earnings statements. Technology controls us with a 24/7 e-leash that confuses the tool with its master. Creative thinkers may be threatened with job loss not only if their new idea fails, but often if they innocently question the prevailing corporate wisdom. In this fear-ridden environment that is the 21st century workplace, pragmatism trumps creativity nearly every time. Rather than developing something new, employees believe that it is safer to take baby steps rather than boldly lead others into an unknown future. Yet creativity and innovation are the de facto precursors of success in today’s global economy. Pragmatism might appear to be safe, but it neither inspires nor motivates. Pragmatism creates the walls that confine us within the status quo. In contrast, creativity requires letting go of past assumptions. Creativity speaks directly to that undefinable spark that makes us human. Creativity expands the self-imposed walls, allowing us to explore ideas from vastly different perspectives. But it takes courage to be creative. Creative innovators are often ridiculed by respected leaders in their fields. It also takes a thick skin to be creative. It is much easier to acquiesce to peer pressure than defend one’s ideas. It takes confidence to be creative. Negative labels of being “cocky” or “arrogant” teach us to either fly under the radar or flee to another more accepting environment. Finally, it takes a human to be creative – but creativity can only exist when the humanity of the workforce is consistently nurtured and respected. It is foolhardy and dangerous to focus primarily on “big data” as the source of creative problem-solving and decision-making. While big data effectively shows what is happening, only humans are hardwired to creatively connect and make sense of the data points. Unlike technology, humans can more easily make the leap of faith that leads to understanding not only why something is happening but also how to respond to it. The level of creativity in the workplace is directly related to the level of humanism in its corporate culture. When workers feel like drones, the probability of creative outcomes is negligible. The 21st century business environment is fraught with dangers; only the courageously creative will survive. Fear is the enemy of creativity. When a company’s single-minded obsession is on “mitigating risk,” pragmatism reigns – but the human fire of creativity dies.